CLOSEOUTS. 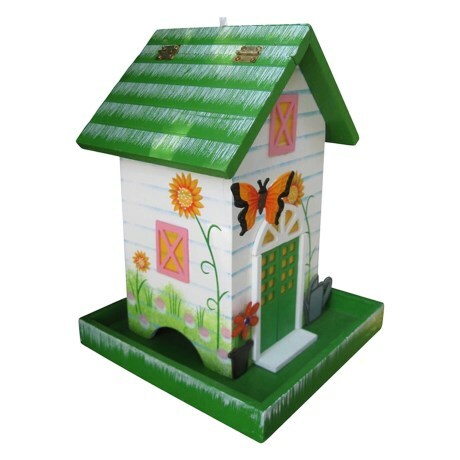 Enhance the natural beauty of your garden with Home Bazaarand#39;s Butterfly Cottage bird feeder - a colorful and handcrafted eating station for your feathered neighbors. Available Colors: DARK GREEN.